The Glenn Hopkins is a beautiful faith-based senior community for adults 62 and over located in the heart of Hopkins. Whatever your spiritual beliefs happen to be, The Glenn Hopkins, a Catholic community delivers a commitment to both physical and spiritual health. Our Mission is to be a place where people of all faiths enjoy the fullness of life in a loving, compassionate and comfortable environment. Our beautiful chapel remains open 24-hours a day for times of private meditation or quiet reflection. The Glenn Hopkins offers easy to understand pricing, many choices of floor plans, amenities and levels of assistance. There is something for everyone here at The Glenn Hopkins. If you are searching for senior living at its very best, look no further than The Glenn Hopkins. The Glenn Catholic Senior Communities, Inc. (formerly St. Therese Southwest, Inc.) began providing exceptional service to the senior community in 1988. The Glenn Hopkins started with one independent living building set on original Feltl farm at 1011 Feltl Court, a building now known as The Towers. Under the direction of a dedicated Board of Directors in 2003, The Glenn Hopkins opened a new addition now known as the Terraces, that included assisted living, memory care and an adult day program. 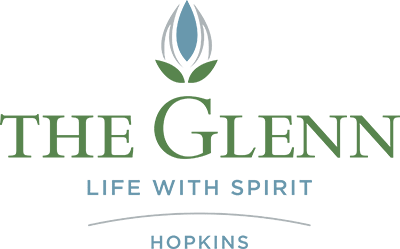 With the founding principles of a belief in the dignity and value of each individual and the understanding that every senior desires to live in a welcoming, vibrant and supportive community; The Glenn Hopkins offers a senior community that is not just a place to stay, but a place to LIVE. The Glenn offers the amenities and services that create a vibrant retirement lifestyle. In 2011, The Glenn Hopkins campus opened on the same principles. Located in the historic area of Hopkins, a time-honored suburban community between Highway 7 and Excelsior Boulevard just west of Interstate 494, the area features the conveniences of an established neighborhood with small-town charm and easy access to major highways. The Glenn Hopkins features independent living, assisted living, memory care and enhanced care suites. Established as Catholic communities, The Glenn Hopkins and The Glenn Hopkins continue to celebrate this heritage as we welcome people of all faiths to enjoy the fullness of life in a loving, compassionate and comfortable environment. A dedicated pastoral care team, supplemented by pastors from within the local faith community, leads spiritual and personal growth activities to all denominations. 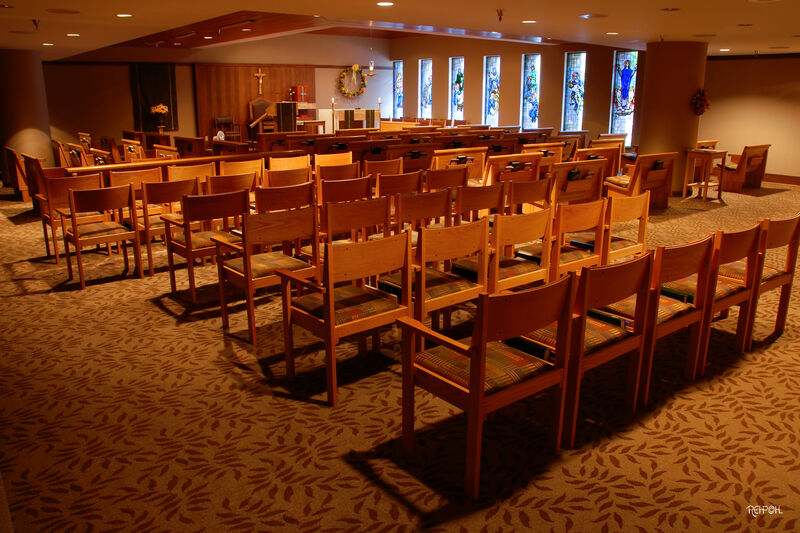 Our chapels offer residents a place for daily worship, communion, and quiet reflection. Glenn Lake is quietly secluded yet just minutes from Minneapolis/St. Paul and the area’s scenic lakes and parks. The area features all of the conveniences of an established neighborhood with familiar ambience – and most everything you need is within a short distance… A truly charming backdrop, yet what’s truly unique about Glen Lake is not the setting but rather the mind-set. The Glen Lake neighborhood and commercial area located on Excelsior Boulevard at Eden Prairie and Williston roads features a full range of business options from the convenience of fast food choices, to the familiar neighborhood sports bar, to the ethnic diversity of Southwestern and Asian fare. You’ll also find supermarkets, retail shops, banks, art galleries, golf courses, medical facilities, and beautiful parks just a short walk or drive away. Historically, the area has been known as the Glen Lake Station. Electric streetcars and freight trains began traveling between Minneapolis and Lake Minnetonka on train tracks originally installed in 1881. That depot was well used by commuters and farmers taking their goods to Hopkins or Minneapolis, and by those who worked at Glen Lake Sanitarium. Traces of the line can still be seen just west of Glen Lake, especially at the entrance to Purgatory Park where a bridge traversed Purgatory Creek.